Hey, and thanks for visiting FMfare. I’m Rick. It’s just my little attempt at chronicling my time and tastes here in beautiful Fargo-Moorhead. I’m a transplant from up north, but not that far away: slightly less-lovely Grand Forks-East Grand Forks. I started a blog in 2011 that explored restaurants there, from openings and closings to reviews and other random food news. But, heading back to school and a bit farther south, I thought I’d better keep it up. Blogging, that is. I grew up with food television, not only watching it, but growing with it. The Food Network really picked up speed in the late 90s, right when I was figuring out what I liked and disliked. Food is one of the things I liked and continue to obsess about. I spent countless afternoons after school and evenings with Emeril, Rachel Ray, Alton Brown and the like. I learned a lot just by watching them. After a while, my interest started to blossom into food blogs, cookbooks, other (more obscure) cooking shows and food ephemera. I learned all I could about foie gras, charcuterie, truffles, sushi and any other iteration of food that was foreign to my sheltered upper Midwest, Norwegian upbringing. Before I learned of those culinary curiosities, the most exciting foods I came into regular contact with were potatoes, lefse, and sometimes lutefisk, that nearly-universally hated, gelatinous substance that can barely be called food. I can remember the horrific stench that filled the house when my grandma cooked it. And I thought burned cauliflower smelled bad. While work and school and other, less scholarly pursuits filled much of my time, I still nourished my appetite, finding new and exciting foods to seek out while on a trip or just reading the enormous amount of food literature. Stuff like Ruth Reichl, Jeffrey Steingarten, New Yorker articles, New York Times reviews and newer publications like Adam Roberts’ blog The Amateur Gourmet and David Chang‘s magazine Lucky Peach. It’s a never-ending learning experience. 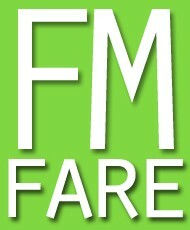 The goals I have for FMfare are not lofty. I just want to bring you along on my continuing journey and see what you have to say about it, too. It’s a two-way street. Thanks for reading. Check out my northern Red River Valley dining blog, GF Gourmet! My name is Jessie Hughes and I am a marketing coordinator for ManCave Craft Meats. We are a small craft meat company from Minneapolis started by University of Minnesota students, and are traveling to the Fargo/Moorhead area this weekend to help promote the brand and talk about these new tastes in town! We recently launched into Fargo grocery stores and are excited to expand into the area. I’d love to maybe meet up with you this weekend to discuss this exciting time for ManCave and Fargo/Moorhead!